When a challenge seems impossible, Deacon Greg Hall doesn’t focus on the outcome as much as the next step. The lesson he learned when his St. Joseph-based company was providing equipment in the 2010 rescue of Chilean miners trapped underground is as relevant today in his fight against the Obama Administration’s HHS contraception mandate. 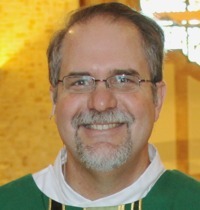 Deacon Hall, president and chief executive officer of American Manufacturing Co. and a permanent deacon in the Archdiocese of Galveston-Houston, is the plaintiff in one of eight Minnesota lawsuits filed against the U.S. Department of Health and Human Services. He believes the government has overstepped its authority by requiring for-profit companies to provide and pay for contraception, abortifacients and elective sterilization for employees as part of the Affordable Care Act. As they await a Supreme Court ruling (expected this summer) that will determine whether their court-granted temporary exemption from the mandate will become permanent, Deacon Hall and two other Minnesota plaintiffs discussed why they oppose the mandate, whether they consider their companies “religious”, and their thoughts on religious liberty and the future. The primary reason Deacon Hall — and Stuart Lind and Tom Janas, plaintiffs in another case — have filed lawsuits against HHS is that Church teaching forbids use of the products and procedures covered by the mandate. “I will never comply with any law that requires me to act against the teachings of the Catholic faith,” said Lind, owner of Annex Medical, a Minnetonka medical device maker, who together with Janas, filed the first Minnesota HHS case in 2012. 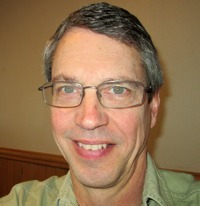 Deacon Hall, who runs his Minnesota company producing mining equipment, mud pumps and drill rigs from Houston, said he doesn’t believe he would be following Church social teaching calling for fair treatment of employees if he didn’t offer them insurance — a possible outcome if he’s forced to comply with the mandate. Janas, a member of St. Joseph in Delano, said the mandate also eliminates employees’ responsibility for their behavior by not requiring them to pay any of the contraception cost. The owner of the Cologne-based agricultural metal fabricator, Storms Welding & Manufacturing, acknowledges he might have previously paid for part of his employees’ contraceptive coverage through prescription plans, but that employees had to bear some of the responsibility through co-pays. Under the mandate, he’d have to cover the entire cost. The Supreme Court’s ruling in the HHS cases of Hobby Lobby Stores and Conestoga Wood Specialties will hopefully “knock the leg out of Obamacare, and the whole women’s preventive services mandate would be scrapped,” Deacon Hall said. The three Minnesota plaintiffs reject all the mandate’s products and procedures, while Hobby Lobby owners have stated that they don’t oppose all the contraceptives. Deacon Hall said he plans to continue his lawsuit if the high court ruling doesn’t cover the entire mandate. If the Supreme Court rules that corporations can’t hold religious beliefs, Deacon Hall said his ordained clergy status contradicts that position, and his compliance with the mandate would cause scandal. Two of the plaintiffs said they might have to stop offering health insurance if they are forced to comply with the mandate. Companies with fewer than 50 employees aren’t required to offer insurance.